The sixteen stories collected in this remarkable book give firsthand accounts of daily life in contemporary China. 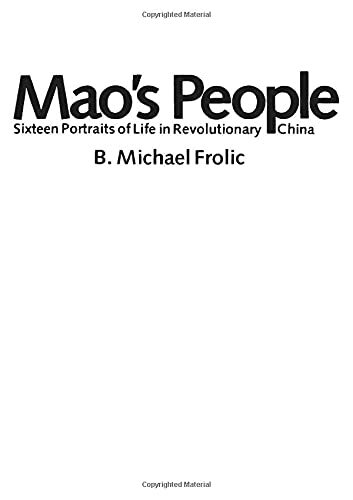 From 250 interviews conducted in Hong Kong between 1972-1976, Frolic has created vignettes that show how individuals from all parts of China led their lives in the midst of rapid social change and political unrest. Shipping costs are based on a 'routine' book; if your book order is heavy or oversized, we may contact you to let you know that extra shipping cost is required. Or contact us (1-866-675-9020)International Postage rates make single book movements expensive; liase with us on a good selection of books and the postal charges can be minimised, even though still horrendous.